These accounts did a whole lot of things that are troubling if Colangelo's behind them, from possibly revealing medical data to slamming players and coaches. Anonymous or fake social media accounts run by prominent people to try and influence discussion about them are a growing topic of discussion in many circles, but a lot of the sports examples of that so far have been more funny than problematic. (See Kevin Durant’s burner account.) When it’s a sports executive trying to influence the conversation about that executive and his team under false pretenses, though, and even suggesting certain medical issues about particular players and lobbing strong insults at his team’s coach and players, it’s a whole lot more troubling. 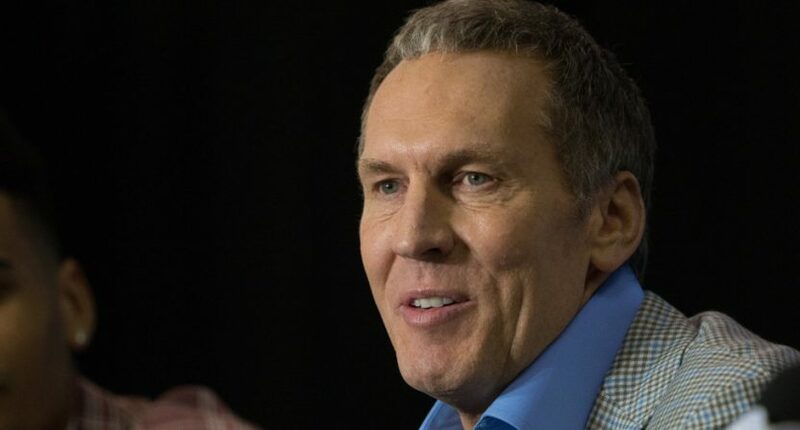 And there’s a growing body of evidence suggesting Philadelphia 76ers GM Bryan Colangelo has done just that, thanks to an investigation by Ben Detrick that was published at The Ringer Tuesday night. Like many of my colleagues in sports, I have used social media as a means to keep up with the news. While I have never posted anything whatsoever on social media, I have used the @Phila1234567 Twitter account referenced in this story to monitor our industry and other current events. This storyline is disturbing to me on many levels, as I am not familiar with any of the other accounts that have been brought to my attention, nor do I know who is behind them or what their motives may be in using them. We would like to confirm that we are not a @dmorey burner account. It’s unclear that any of these tweets had any effect, given that they came from low-follower count accounts that behaved a lot like many trolls and that most media didn’t seem to take them seriously. But the intent to alter coverage or leak damaging info about particular players would be bad enough in its own right if these tweets were from Colangelo, and that would have the potential to alter how the rest of the organization interacts with him. And this story leaves a whole lot of questions for Colangelo and the Sixers to answer.